Here is an overview and timeline of what you can expect for changes with flood insurance as a result of the passage of the Grimm-Waters Homeowner Affordability Act of 2014. New rates will not be in effect for another 9-11 months. FEMA needs six months to develop regulations and mandates a 45-day consultation period with Write Your Own (WYO) carriers before final implementation. Carriers will need several months to rewrite software; address process changes; and train staff before sending out renewals 45-60 days before the law's effective date. Biggert-Waters will continue to be in effect for almost another year - some property owners may pay higher Biggert-Waters rates for two premium terms. The legislation caps annual rate increases at an average of 15 percent for most residential policies. Recently, the full actuarial rate went into effect under Biggert-Waters, bringing annual premium increases of 18 percent for primary homeowners. New policies on pre-firm properties will not require elevation certificates and photos. Homebuyers do not need to pay the full-risk rate for pre-FIRMS at the time of purchase as required under Biggert-Waters. Repeals the provision in Biggert-Waters that required pre-FIRM property owners to pay the full-risk rate if they voluntarily purchase a new policy. Grandfathering is restored. Cap rates are increasing between 5-15 percent. Newly mapped properties will be treated like subsidized, grandfathered properties. Full-risk actuarial rates will be required for policies after Biggert-Waters enactment unless the decision to permit the lapse is because the property is no longer required to retain such coverage. The new legislation will require FEMA to issue a refund to policyholders who have overpaid premiums under Biggert-Waters. FEMA has not determined when and how this will happen. Businesses, secondary homes and severe-repetitive properties will continue to see their premiums go up by 25 percent a year until reaching a level consistent with their real risk of flooding. Most homeowner policies will include an annual $25 surcharge, while businesses and second homes will accrue a $250 fee. Proposed FEMA flood map changes for Plymouth County were recently delayed for a year so FEMA may review the methodology of the flood mapping. The proposed FEMA maps were rolled out in 2013 and were expected to be adopted by communities in 2014. The new maps were intended to model coastal flooding more accurately. Without a doubt, the new maps made quite a splash in Marshfield, Duxbury, and Scituate. In these towns, nearly two thousand homes that were not located in a special flood hazard zone A or V would be remapped into special hazard zones if the new maps were adopted. The new maps were proposed to be adopted by June, 2014. Many properties currently in a special flood hazard zone would face significant changes in their base flood elevations under the new maps. In some instances, the base flood was raising from 9 to 17 feet elevation. This is the elevation that the property elevation is measured and rated relative to the FEMA base flood elevation. The primary reasons for postponing the map adoption were the many questions surrounding the science used for the flood mapping. In a nutshell, many believe the FEMA map study was flawed. The towns of Marshfield and Scituate submitted appeals questioning how the maps were created. These towns also engaged consulting engineering firms to review the methodology. Further supporting their arguments was an analysis by the University of Massachusetts that indicates FEMA used wave models used for the Pacific rather than Atlantic Ocean. Local town officials in Scituate, Marshfield and Duxbury are optimistic that the towns have proven the new flood map deficiencies that must be addressed by FEMA. As a result, the homeowners newly zoned into a special hazard flood zone will not be required to secure flood insurance in 2014. The town of Hingham in Plymouth county approved new flood maps in 2012, so they are facing a different scenario. Since then, town-hired engineers found numerous problems with the new maps, including incorrect wind speed data and topographical information. 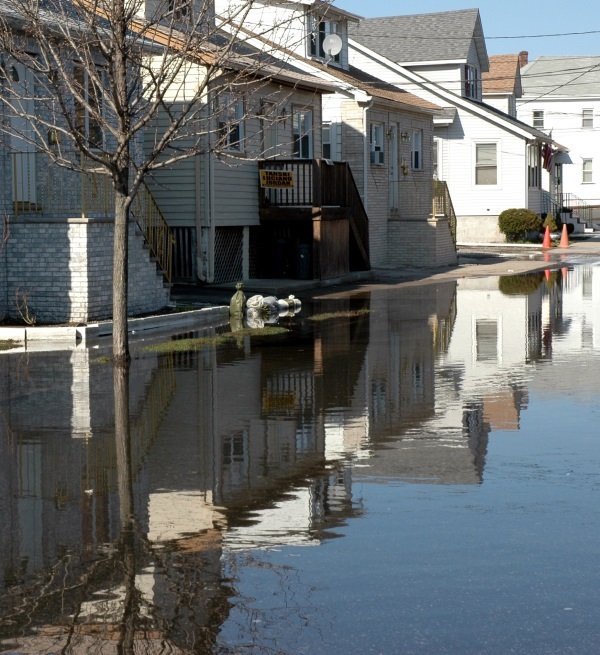 Therefore, Hingham officials are filing an appeal against the new Federal Emergency Management Agency flood maps that added hundreds of homeowners into the flood zone in 2012. Although FEMA delayed map implementation in Plymouth county, there is uncertainty if the delay can be applied to Hingham after the maps have already been approved by the town. Hingham plans to file this appeal by March 1 and hopes to have this decision before Oct 1. Stay tuned for further developments. 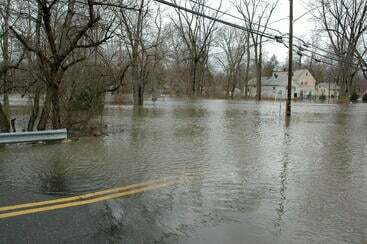 You may have a flood insurance policy issued by a national insurance carrier such as Hartford, Mapfre, Nationwide or Travelers. 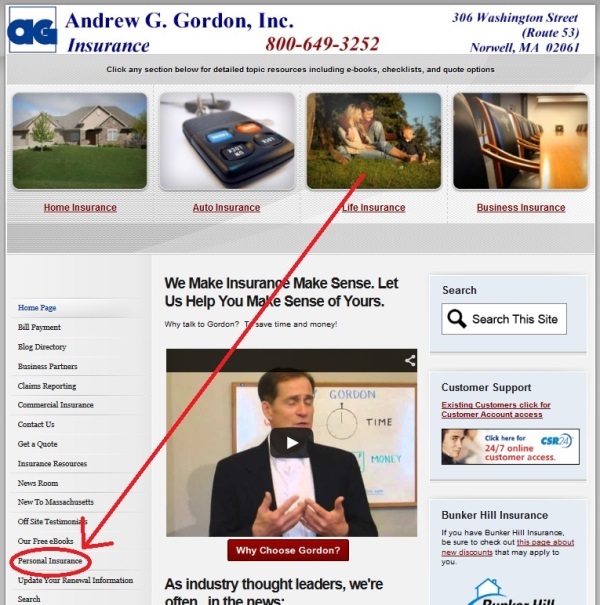 The insurance company’s name, address and logo appear on the flood policy coverage page. However, the private insurer company is only issuing and servicing the standard flood policy on behalf of the federal government. In the coming years, we expect there will be many discussions of privatization of flood insurance given the flood programs $18 billion deficit. 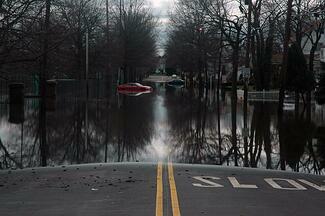 At this time, all flood policies with up to $250,000 in building coverage are underwritten by the federal government. Amounts over $250,000 are considered excess flood policies and these policies are insured by private insurers instead of the federal government. Insurance companies began participating in the Write Your Own (WYO) Program in 1983 as a cooperative undertaking between the insurance industry and FEMA. The WYO Program allows participating property and casualty insurance companies to write and service the Standard Flood Insurance Policy in their own names. The companies receive an expense allowance for policies written and claims processed while the Federal Government retains responsibility for underwriting losses. The WYO Program operates as part of the NFIP, and is subject to its rules and regulations. There are currently 85 insurance companies participating in the write your own program. 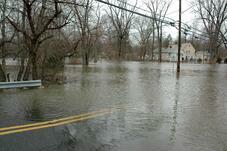 Provide the insurance industry with direct operating experience with flood insurance. 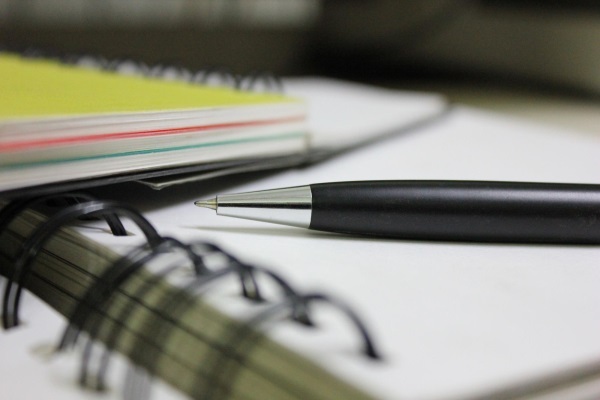 Recently, Travelers Insurance announced that they are discontinuing their participation in the Write Your Own program. Travelers sold its flood policy renewal rights to American Bankers Insurance Company of Florida, part of Assurant Inc. Customers with Travelers Flood policies will be renewed with American Bankers Insurance Company of Florida (ABIC) for policies renewing October 15 and later. In some cases, agents will move these Travelers Flood policies to other Write Your Own carriers. Travelers stepped out of the flood program because it was a small, non-core part of their business. Exiting the program eliminated operational complexities associated with maintaining separate underwriting and claims processes required for participation. If you have a flood policy serviced by Travelers through our agency, you can expect to see a change in servicing carrier at your next renewal. If you have any questions about how these changes could affect you personally, give us a call at Gordon Insurance (781) 659-2262, and we would be happy to help you in any way we can! 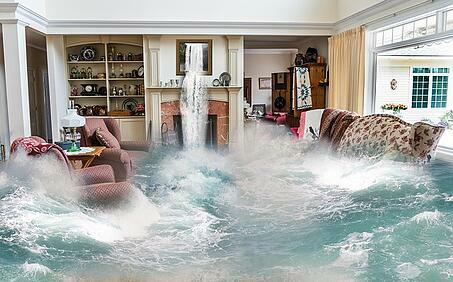 Learn more about flood insurance here. Have you ever heard of a microburst? I sure hadn't until one of my fellow coworkers in this very office explained to me what they are. Naturally, I had to research them, and what I found is mind-boggling. So if you're into weather speak and meteorology talk, then you'll be intrigued to hear that a microburst is just a bunch of sinking air. However, when this air sinks, it sends little tornadoes and strong winds just in that area. Microbursts consist of three stages: contact, outburst, and cushion. The first stage is when the air descends from the clouds and to the ground, making contact. The second stage is when the air move aways (typically horizontally along the ground). The third stage is when the horizontal winds accelerate but the initial winds begin to slow down. Regardless of which stage a microburst is, there will be very, very strong winds that have the ability to known down trees and buildings. And while hurricanes and other tropical storms can have both strong winds and heavy precipitation, microbursts are different. Why? Mostly because they can appear out of nowhere and are very difficult to predict. I just spent some time telling you how microbursts differ from any other storm. Now I am going to contradict myself and tell you the good news when it comes to insurance! Even though microbursts are weird little storms that can really pack a punch, insurance covers for their damage. They are just like any other storm. Most of the damage caused by microbursts comes in the form of falling trees. To protect yourself against loss, make sure you have a wind policy that adequately covers your home's worth, especially if you live in a heavily wooded area. For those "wet-microbursts" that come with a lot of flooding, only a flood policy can protect you from loss in the event of a flood. So, similar to the wind situation, as long as you have the appropriate policy, your insurance will cover you in case of a microburst. Hooray! Fortunately, microbursts are not that common. However, that doesn't mean that they do not occur. Recently, Agawam was faced with a microburst that caused lots of damage. For more information on that damage, click here. Here is a video explaining microbursts and showing some of the severe damage these storms can cause. If you have any other insurance questions about anything- home, auto, commercial, life- feel free to contact us at any time. Learn about homeowners coverage here. So far we've gone over how to utilize Gordon's eBooks, blogs, and whiteboard videos. That's very good and all, but let's finally talk about some insurance "stuff" because Gordon Insurance IS, in fact, an insurance agency. 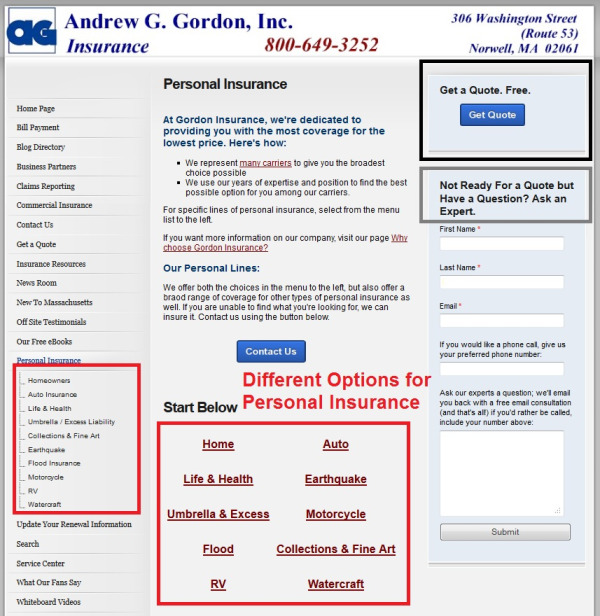 As you can see below, the "Personal Insurance" tab appears right on our home page. This will lead you to all you need to know about insuring your personal items and hey- you might be able to insure things you didn't even know you could! 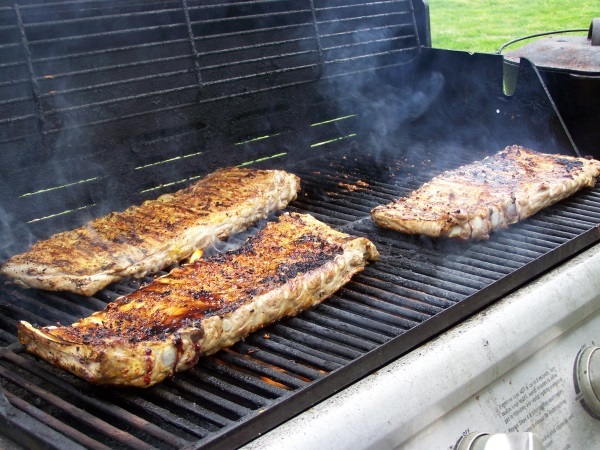 Now let's take a look at some of the options under the personal insurance menu. We guarantee you'll be impressed- it includes the standard home, auto, and life insurance that are very necessary, but it includes more. We work with insurance companies that can provide coverage for your watercraft, RV, motorcycles, fine works of art and expensive jewelry- you name it. Each individual category has its own page, and each page is full of information for you relating to that particular category. If you're interested a quote, you can click the "Get Quote" button in the black box (located in the upper right hand corner), or if you want to ask a question, there is a gray box below the black box which will direct you to the form. If you like the information you see, consider the personal insurance options that you may want to be available to you. If you want to fill out a form, they take roughly three minutes to complete and allow for you to add in any questions you may have about the product. We will quote you so it's important to give us the best information you can provide so we can get you the most accurate quote. And, if that wasn't good enough, all of our quotes are free. Meaning: if you don't like what we give you, or you maybe aren't ready to pay for that insurance, then we won't hold it against you. So go ahead and get that coverage! Knowing what you need to insurance for yourself and what you want to insure for yourself is half the battle. Here's the rest. Any other insurance questions? Simply ask away by clicking the button below. Or, if you're ready, contact us for a quote. Learn more about personal insurance here. 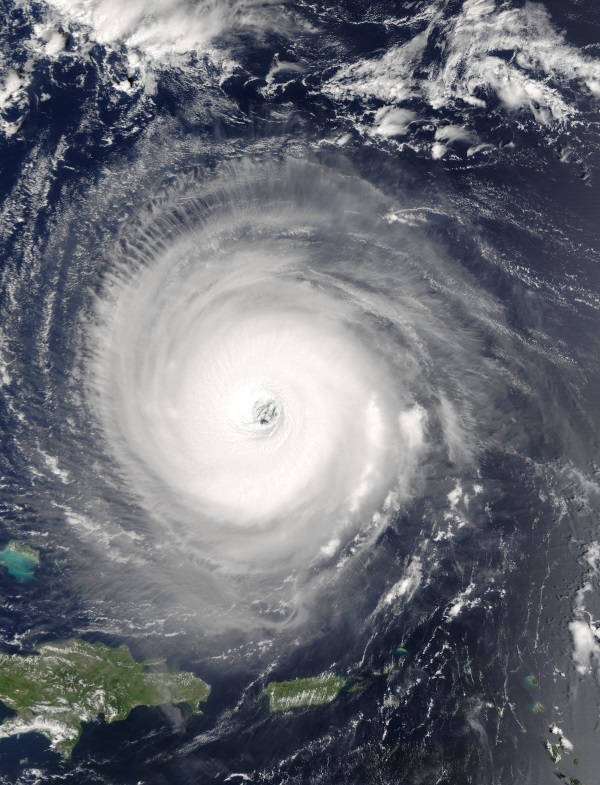 As of June 1, we have officially entered Hurricane Season, and we won’t be out of it until November 30, so there are a few things that you may want to keep in mind this season. A rotating system of clouds and storms that originates over tropical waters. Occasional snapped branches, damaged wind chimes. Gusts may snap larger branches, possible mild damage to shingles and gutters. Large branches may snap. Gutters, shingles, and shutters may be torn away. Major damage to the roof and its sides. Many trees may snap or be uprooted. Some roads blocked and near-total power loss for a few days to weeks. Major damage to roofs, gables, and sides of buildings. Many roads blocked, electricity and power unavailable from days to weeks. Severe damage to exterior walls and roofs. Possible roof collapse. Most trees snapped or uprooted. Most of area will be uninhabitable for weeks or months. Possible destruction of entire house, with total roof and wall collapse. Fallen trees and power lines will isolate whole neighborhoods. Power outages will last for weeks or months. Most of the area will be uninhabitable for weeks or months. Considering that we live in New England, we aren’t as likely to be hit by a high level storm as states farther south, but that may lull us into a false sense of security. Just because we PROBABLY won’t get hit with 156 mph winds, doesn’t mean the 95 mph winds won’t do serious damage. 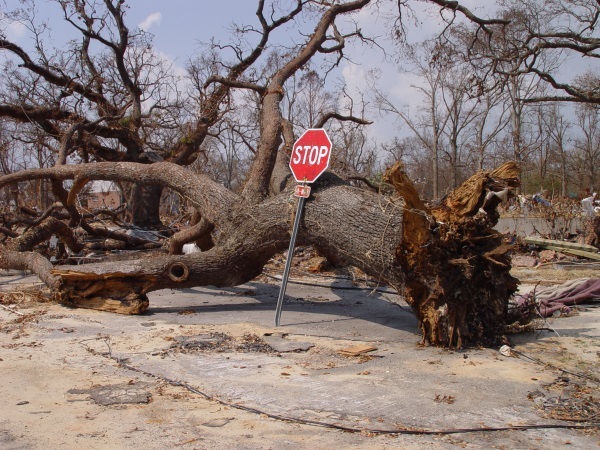 · Falling Trees – New England is full of large, broad leafed trees that, unlike that palms down south, are more likely to snap in high winds than bend and survive. Downed trees can knock out power lines, block major roads, or damage your roof, patio, or car. Consider trimming trees back, especially if they are close to the house. 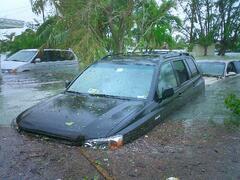 · Pooling Water – The heavy rains associated with hurricanes will also accumulate and create large puddles or pools. Around the yard, these may be fine, but if they build up next to your home, you may face water damage or flooding in your basement. My own basement used to flood from regular summer showers, but we installed a French drain, which has done wonders. · Coastal Surges – If you live near the coast, or have a vacation home near the beach, you will want to watch out for storm surges, water that is forced by winds to create outrageous tides. The damage incurred from the surge is covered under your flood, not wind, insurance. Flying Debris –The high winds will not only tear down trees, but also whip around random detritus. The aesthetic pebble paths or gravel driveways may bite you in the rump during a hurricane, and your exterior walls will look pox marked and torn up after the stones get hurled from a 100 mph gust. 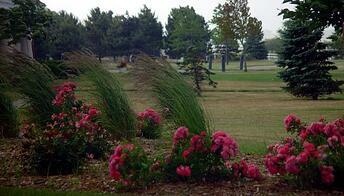 Soft mulch and asphalt may be a safer alternative to consider. Remember to keep up with the weather reports this season, and pay especially close attention if you hear a hurricane watch or warning, they demonstrate a 36 or 24 hour arrival time of the storm, respectively. Insurance carriers provide their agents with binding authority for the various lines of insurance written by the agents through these companies. With this capacity, agents are allowed to bind coverage for most home purchases, for mortgage refinancing, for new auto purchases or changes in auto loans, for new boats and motorcycles. This authority helps streamline the process of writing coverage for the various exposures presented to us by you. However, there are several instances where agents are not provided with binding authority and must solely rely on the carriers to place/bind the coverage. These instances include the issuance of a personal umbrella or excess liability policy. This coverage must be approved by the carrier and relies on driving records, underlying exposures, youthful operators, and if there are pending open claims. Agents do not have binding authority for any flood insurance, which means that you would need to apply for this coverage and pay in full in advance. The Fair Plan, or MPIUA, writes the various homeowner and dwelling fire forms, including primary homes, secondary homes, condominiums, renters or apartment insurance, and properties rented to others and they do not provide binding authority to agents. You need to apply for the coverage needed and MPIUA reviews the documentation provided and upon approval, will forward a proof of insurance to the agent thus binding the coverage requested. Oftentimes, MPIUA is placing the coverage as there may have been a lapse in coverage or if your previous policy had been non-renewed, or the residence is in close proximity to the coast and another carrier is unable to write the coverage. Excess markets who may also be willing to write the more difficult exposures, such as vacant dwellings, or coastal properties do not provide binding authority to their agents. 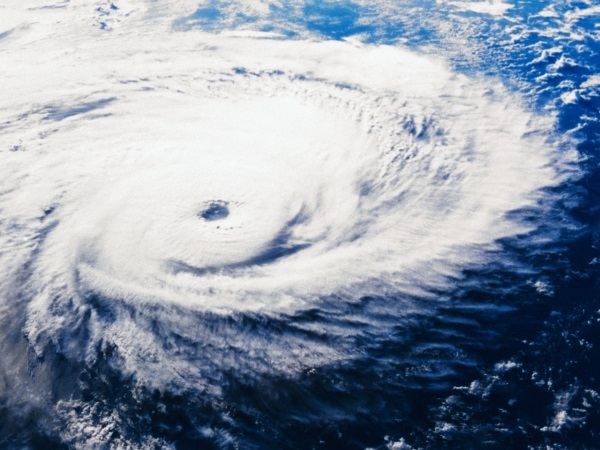 Another instance whereby agents do not have binding authority is during a hurricane or major storm when a moratorium may be declared by some or all of an agent’s carriers on placing new business.